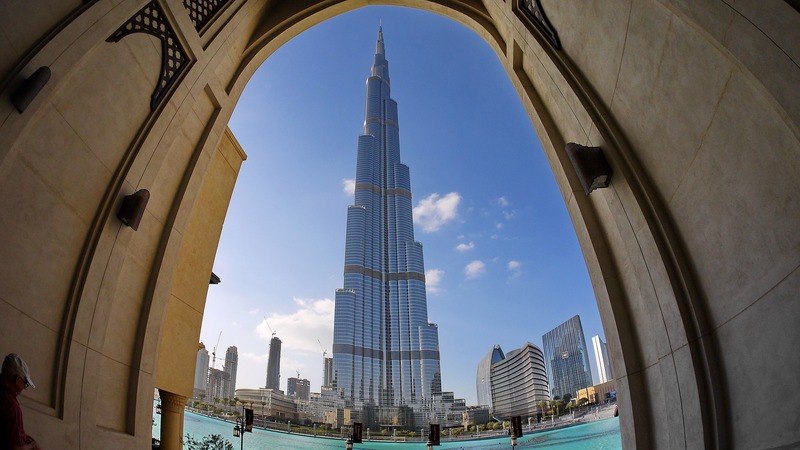 Have breakfast at your hotel before departure for a half-day guided tour of Dubai. Immerse yourselves in this enriching excursion and learn about how a modest fishing village at the Dubai Creek was transformed into a city hub of beautiful skylines and rich culture, through a guided tour with different stops demonstrating the city’s evolution throughout time. The traditional tour will start with the discovery of the Jumeirah area and the famous Burj Al Arab, a stop at an art center. Cross the new canal and then stop for a snapshot of the awe-inspiring Grand Mosque of Jumeirah that dates back to the Fatimid rule. We will continue to the historic district of Bastakyia, the magical old town which houses the Dubai Museum, located in the ancient fortress of Alfahidi, which dates back 200 years. A visit to the Museum of Dubai is included, explore on your own. Next, you will have a chance to cross the creek by boat in an authentic Abra, enjoying the spectacular cityscape while heading towards the District of Deira, which is home to Dubai’s biggest spice and gold souks. 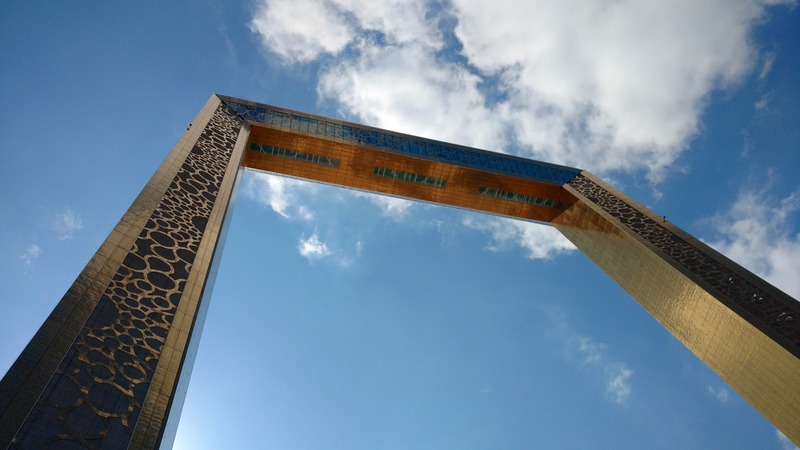 The tour will continue with the discovery of the discovery of the Zaabeel area and the rulers of Dubai palaces before ending at the famous, iconic Burj Khalifa and Dubai Mall. 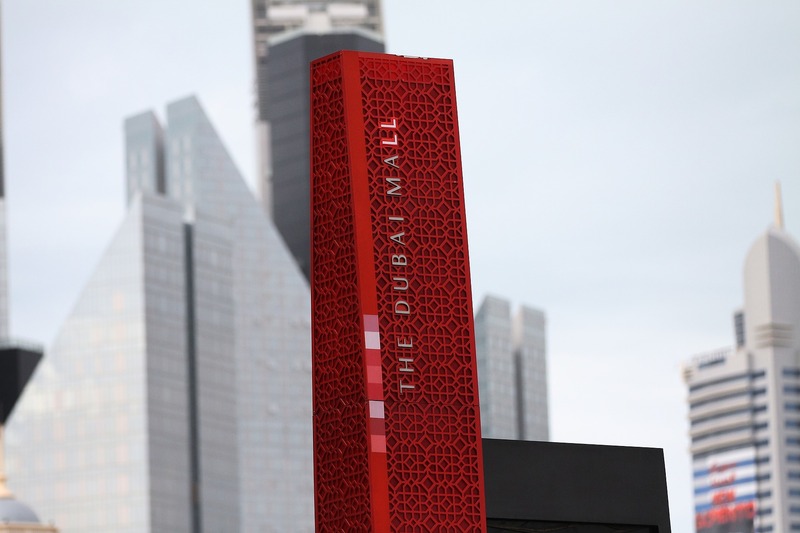 Head to the Burj Khalifa to experience one of the world’s latest man creation. After your experience on the 124th floor, you will be able to discover the Dubai Mall and its secrets on your own. Make your own way back to your hotel when you are done exploring the mall. Begin your morning with breakfast at your hotel. Enjoy the rest of your morning at leisure. You will have lunch at leisure; provide yourself with a nice meal at your own expense. Begin your morning with breakfast at your hotel. The rest of your day at leisure. Breakfast. Head to Sharjah, the Pearl of the Gulf is a must to discover and complete a visit to Dubai. Visit King Faisal Mosque, experience Emirati culture, visit the Fort of Sharjah, and learn about the customs and traditions that are deeply rooted in the Emirati culture. Continue to the Heritage Museum, and the enchanting Souk Al Arsa and Souk al Markazi, which is a veritable treasure trove of carpets, jewelry, and intricate handicrafts. The tour ends at the Dubai Mall. Enjoy the rest of your afternoon on your own. 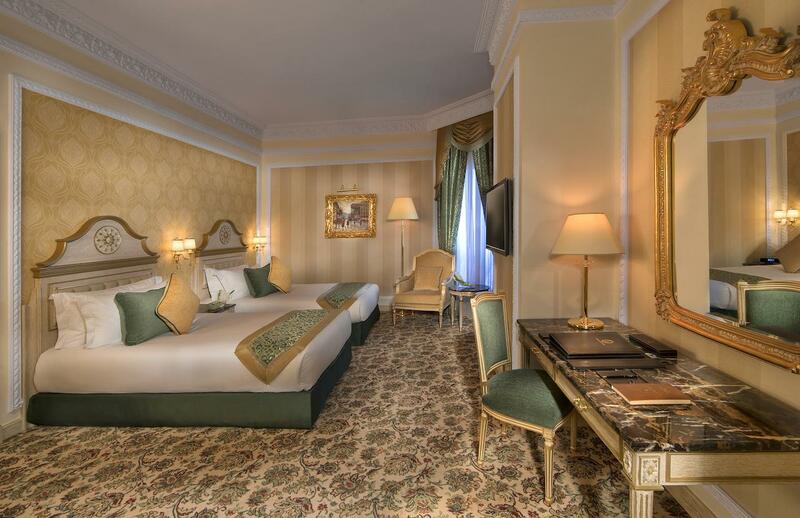 The Royal Rose is a luxurious 5-star hotel in the middle of Abu Dhabi. Its exterior hints at a 17th-century French palace. It showcases an outdoor pool, a gym and a spa. The elegantly furnished, air-conditioned accommodations feature baroque décor. Each one has a small sitting area with satellite TV, a minibar and an electric kettle. The suite includes a living room and a balcony with a city view. Guests can enjoy eclectic dining options at Royal Rose Hotel ranging from Arabic to International Cuisine. Brasserie Café offers an assortment of tea and refreshing mocktails to savory snacks and specialty gateaux. The Abu Dhabi Corniche and promenade, with its range of outdoor cafes and a long beach stretch with water-sports options, is a mere 5-minute drive away. The traditional souq-market-, the Abu Dhabi Fort and countless other points of interest are within easy reach. 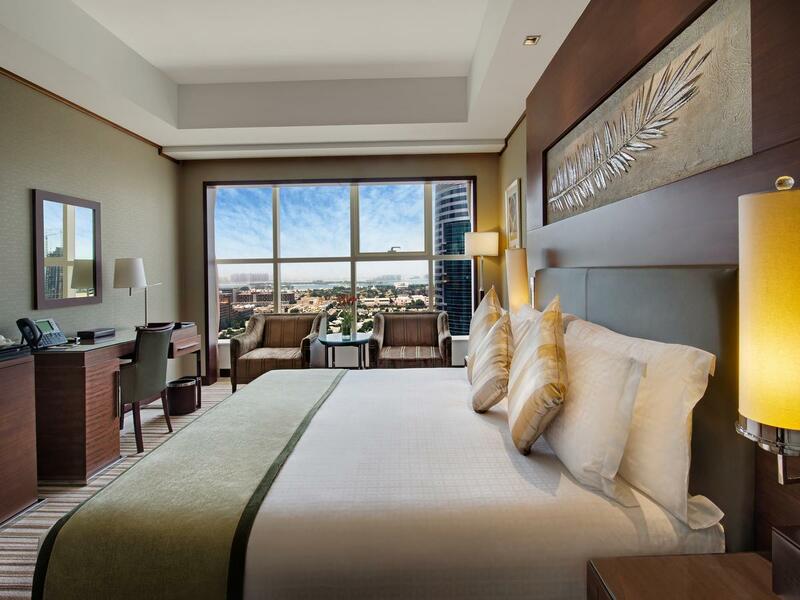 Boasting a central Dubai location on Sheikh Zayed Road, Grand Millennium Dubai offers free Wi-Fi in all areas and spacious rooms. It has a rooftop swimming pool with panoramic city views. Free on site parking is available. Grand Millennium features a range of restaurants and bars. The Asian restaurant on the 18th-floor has live cooking stations, and views of the Gulf and Jumeirah coastline. The pool-side bar offers light snacks and drinks. Hotel Grand Millennium Dubai is located just 10 minutes’ drive from the Mall of the Emirates and Dubai Marina. Dubai Media City and Internet City are also just just over 1 miles from the hotel and Dubai International Airport is a 25-minute drive away.